Size: approx. 3 mm. Photo: 06/18/12, 2 pm. 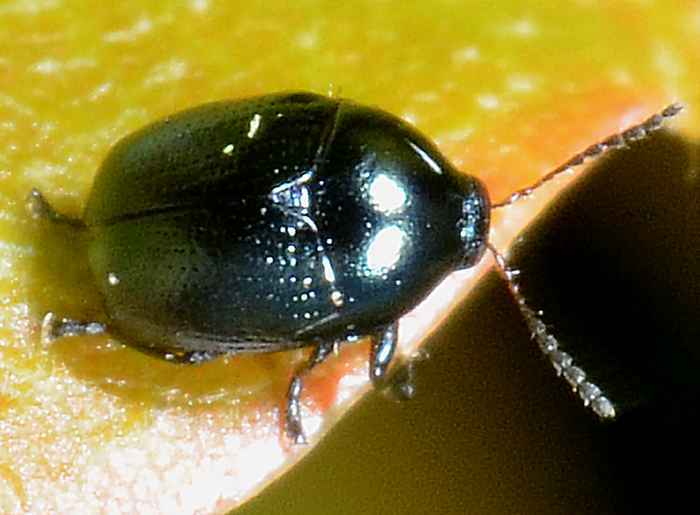 According to the bugguide Lexiphanes saponatus can be found in the eastern United States and southern Canada. The second link states that "Unlike most other cryptocephaline larvae which live in the leaf litter and are unable to climb on plants, the larva of L. saponatus moves easily on its host plant (Cassandra calyculata) and mimics perfectly the plant buds, becoming almost invisible to the human eye."